Last week my eleven year old asked me to take him to Mount Peter. He’s been skiing bigger hills the last few years and has been stepping up his game lately so I was a little surprised that he wanted to return to the 450-foot feeder hill. Still, I think that all skiers remember their home mountain fondly. My son is lucky that his is such a special place, with so much history and charm. When my older son started skiing, I looked around for a small area where he could learn. It had to be nearby, small, affordable with a good ski school and magic carpet. There are several feeder hills that fit the bill around the metro area and we tried them all out. Eventually we decided that Mount Peter in Warwick NY fit the bill perfectly. It came with a family-friendly vibe and eighty years of family-owned history to boot. It took a while but eventually my older son started to get the hang of skiing when he was nine. When he learned to get on and off a lift by himself, it freed me up to spend more time getting his little brother up to speed. This was right about the time we became season passholders at Mount Peter. During the years we skied there, we skied three days (or nights) every week they were open. We got a lot of quality skiing we got for our money so I guess it’s not surprising that my kids have a soft spot for the place. On a recent Friday, when school was closed for teacher training, I took the day off and headed back to Mount Peter with my eleven year old. The place was just as I remembered it, with one big exception, the new quad, installed this past summer. I parked in our favorite spot, backed right up to the snow next to the beginners’ slope, where we’d be able to ski right up to the car at the end of the day. We booted up at the car and I got our tickets. It was busier then I expected it to be on a weekday, probably due to the recent snowfall, but it was still a laid back scene. We jumped on Hailey’s Comet, the main double chair that runs every day, and headed up for our first run. We paused halfway down our first run to check out the new lift. 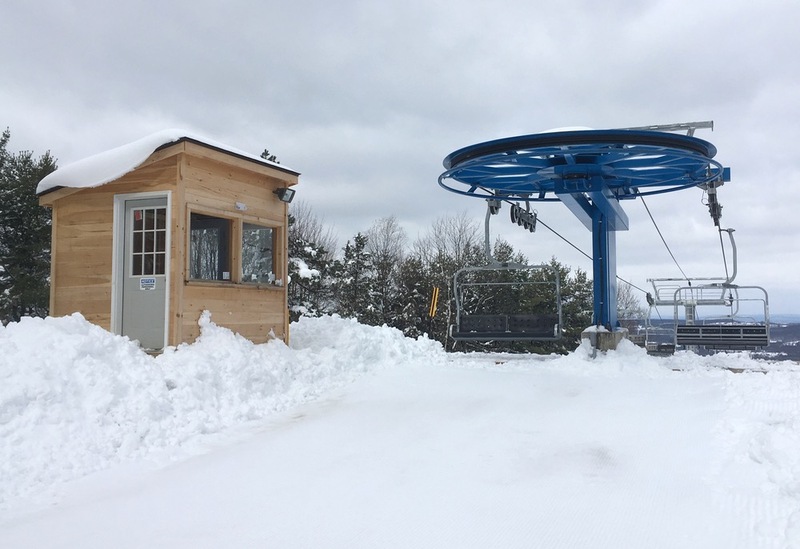 It wasn’t running that day but I’m sure Mount Peter’s skiers appreciate the increased uphill capacity. We skied all morning, reacquainting ourselves with the place, moving from one trail to another. We skied everything that was open and explored some of the trees and areas in between trails in search of fresh snow. 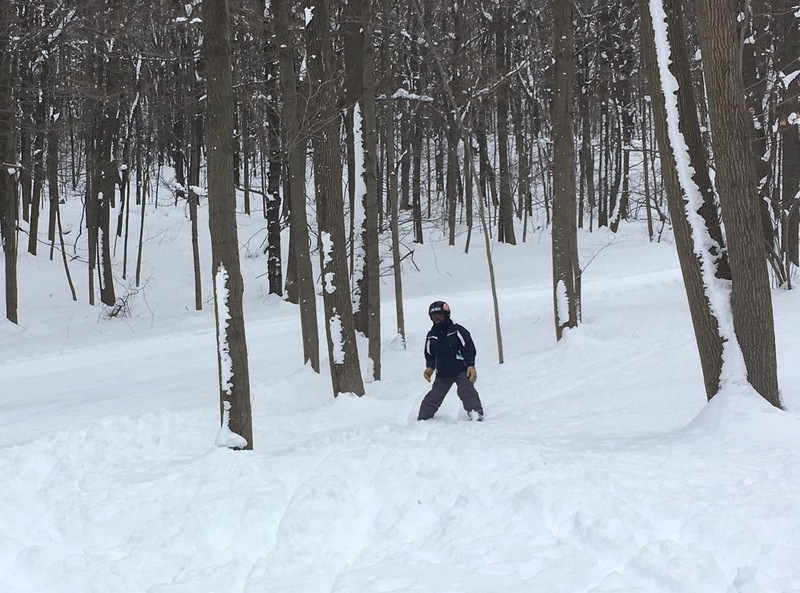 My son decided his favorite was still Outback, a blue that curves through the woods and past the tubing hill, all the way over on skiers’ right. 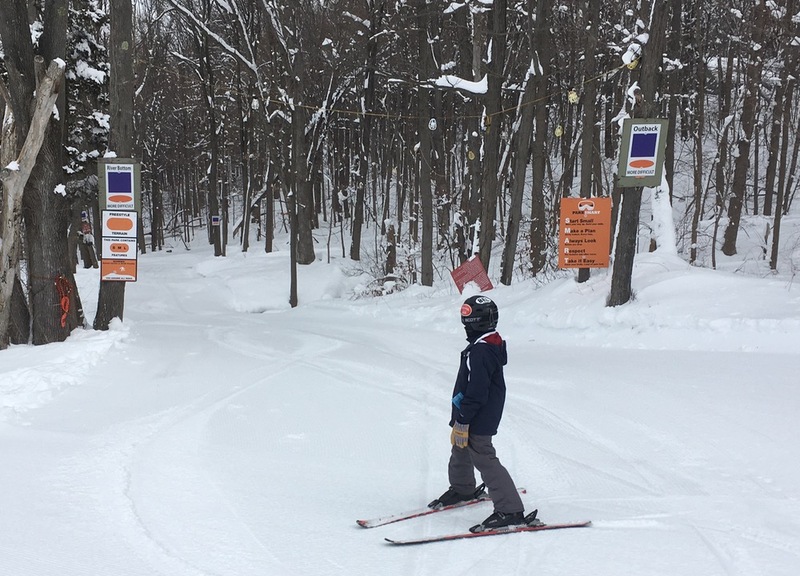 At one point, I asked my son if he would want to get a season pass at Mount Peter next year and not ski anywhere else. He had a hard time deciding but eventually said it would be ok with him if we did. It was a really fun day that reminded me of Mount Peter’s many good qualities and just added to the many great memories I’ve shared with my children there. 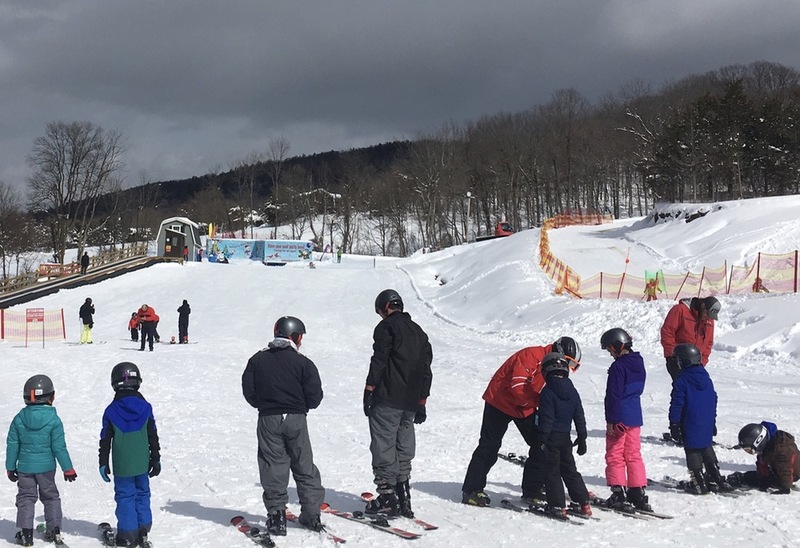 We had to depart early to shuttle my older son to a baseball practice but we managed to get in more then twenty runs and skied everything the mountain had open. The snow was great. The folks running the lifts and working the lodge were just as friendly and helpful as we remembered. My son had a great time. I’m grateful for Mount Peter. It will always be my kids’ home mountain and always occupy a special place in my heart. very nice-heart warming article. 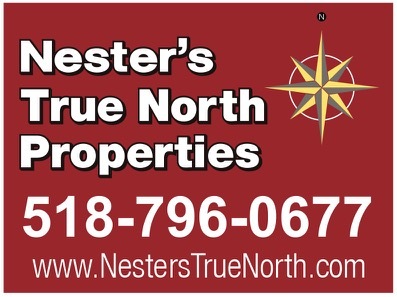 yestur-years memories that your son will have forever. congrats on being such a good father and taking your boy to places like this. Great, GREAT story. Reminding me of when my daughter was 11. That winter, mad number of dad and daughter ski trips. Nice you get to go back, thanks for sharing. The hill I started my first three kids on has gone lost. Youngest son never got to enjoy it. All infrastructure stripped away. Some old chairs in use at Platty, makes us feel a little better. Brownski – I love the way you write. Really a BEAUTIFUL thing. We need to meet again and get you and your family in a proper ski edit. So happy that they got snow, as well as our other nearby mountains – though small – these offer a great experience and are gateways to possibly the best addictive lifestyle as you know. Thanks for the nice comments, guys. Mount Peter is pretty cool. Awesome Place – Great story!! 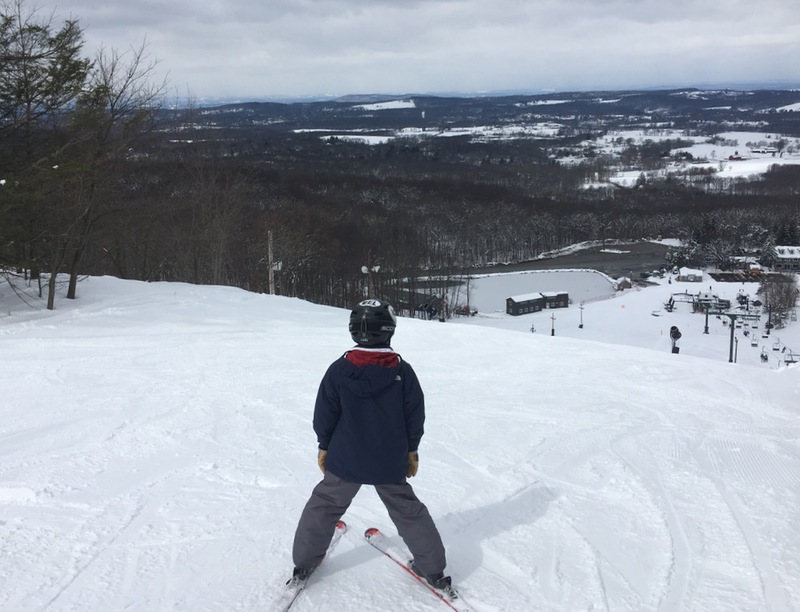 Love this – my 11 year old was reminiscing about our years of skiing at Mt Peter just this weekend!